VANCOUVER — There is an old saying about how a favourite recipe, in some way, can tell the story about the family from which it came. 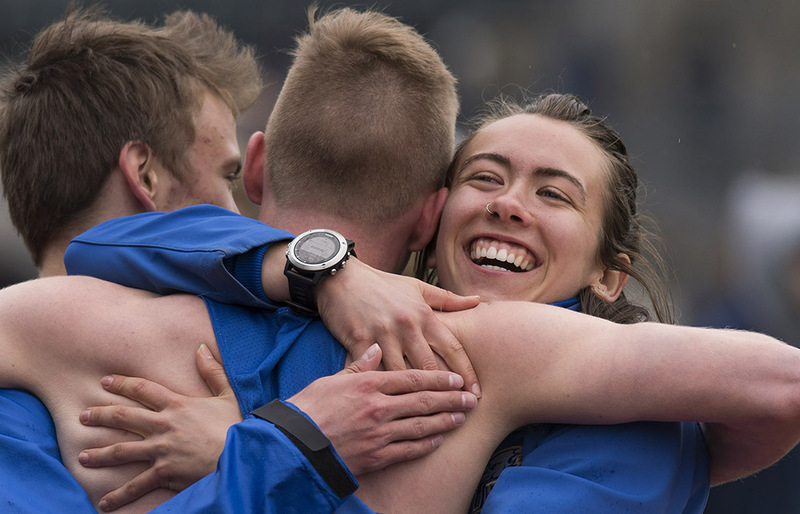 That’s especially true, as you will discover, in the case of UBC Thunderbirds’ senior middle-distance runner Sandra Kilmartin. Yet if you ask the dietetics major — a foodie with a pay-it-forward passion for spreading the gospel of good gastronomy — about her own ingredients for success, both on the track and in the classroom, her answer won’t hit on any of the major food groups. And that’s because as the Salmon Arm native wraps up a most curious and inspiring running career with her No. 1-ranked UBC team at the NAIA national championships, which begin a three-day run Thursday at Gulf Shores, Ala., it’s been a blend of curiosity, tenacity and humility which have come to best define the recipe of her DNA. With a community-minded scope that has seen her speak to at-risk high school students about what it takes to become a university student-athlete, to helping young female teens understand the connection between healthy eating and positive body image, Kilmartin, 25, has become an empowering force and role model to the next generation. And on the track and the cross-country trails, she has morphed in spectacular fashion from an unsure, in-the-shadows runner with a comical lack of experience, into an integral part of the ‘Birds 4x800m relay team which after winning silver at each of the past two national championship meets, would dearly love to close out this weekend on a golden note. Who would have been bold enough to predict any of this for a kid who graduated from Salmon Arm Secondary back in 2011 and then quit running for two years, barely entertaining the thought that she might someday become a university athlete? Nikki Reiter remembers the moment well. In the summer of 2013, in advance of that fall’s upcoming CCAA cross-country season for Kelowna’s UBC Okanagan Heat, the program’s head coach had gathered a number of prospects on the oval at the Apple Bowl. 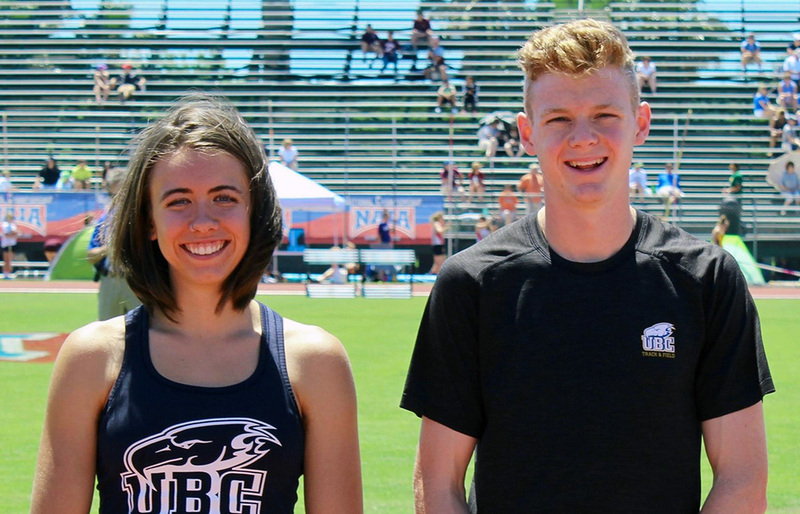 Kilmartin, now two full years out of high school and coming off an academic-only year in her hometown at Okanagan College, was among the wannabe collegiate harriers on hand that day. She had not run with any level of purpose since her 2010 high school cross-country season, and she had literally never run on a track before in her life. Reiter’s husband Nate was set to put the pack through a 1,500m time trial, but there was a problem. When you add to that the level to which Kilmartin still owns that moment, you get the full picture of just how far she has come. Nontheless, Reiter would soon come to recognize the all-in trait that her rookie runner would make a habit of exhibiting, both while in stride and in the classroom. After taking a gap year after high school, Kilmartin discovered that her love of food and its part in a healthy lifestyle was pointing her to a major in dietetics and a career path as a dietician. Thus the 2013-14 season at UBC Okanagan would be all about getting the proper courses together for a hopeful transfer into that specialized program at UBC’s Vancouver campus the following fall. In the meantime, however, Reiter was delighted to have discovered a recreational runner who had the chops to become a collegiate student-athlete. Kilmartin, in fact, was so good as a raw 20-year-old rookie that in the CCAA national cross-country championship race, she helped carry the Heat to the national championship title with a team-best fourth-place finish. In fact, when you listen to Reiter explain the process which Kilmartin undertook in her surprising transformation from a recreational to competitive runner, you realize its theme of self-empowerment is just as applicable to her life off the track. As part of her senior year in dietetics, Kilmartin is doing an internship at Vancouver General Hospital. The demands of 37.5 hours-per-week has not allowed her to devote the time she has in previous years to causes at several different levels of her community. *Provided educational seminars to girls in Vancouver-area high schools centred around eating the right foods at the right times, all within the context of healthy body image. One example was a nutrition workshop for kids at Seymour Heights Elementary on sugar-sweetened drinks and healthy snacks. *Volunteered with UBC athletics dietician Emma McCrudden to help provide content for the school’s sports nutrition website. A tool for the school’s varsity sports community, it helps measure, among other things, caloric intake and vitamin content. *Provided tours for UBC students, including athletes, at the Save-On Foods grocery store on campus with the goal of helping them stretch their dollar while maintaining a healthy diet. *Spoken to students from socio-economically disadvantaged areas of the city as part of the “I’m Going to UBC” program which allows students to spend time on campus, learn what it means to be a student-athlete, and then later attend a UBC varsity sports event. Yet while her running career can certainly been seen as an extension of her work with nutrition, there are other aspects of her outreach which come from a deeper place. And so when you ask Sandra Kilmartin about her greatest inspiration, it’s no surprise that the recipe adds a key family ingredient. “I love to talk about her because she is the reason why I am the way I am,” Kilmartin says of Shauna, 27, an older sister who at eight months developed Dravet Syndrome, a severe form of epilepsy which has left her severely autistic and in need of constant care. 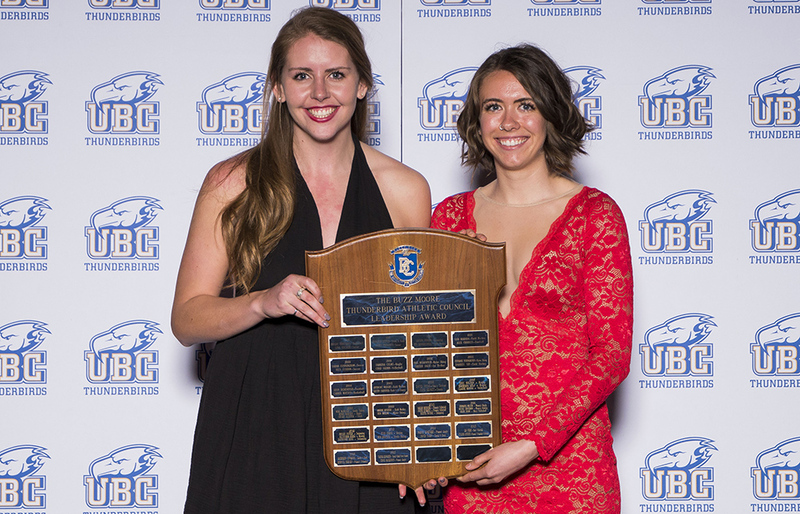 UBC head coach Laurier Primeau has seen first-hand how that personality has helped enrich the culture of the Thunderbirds’ track and field program. 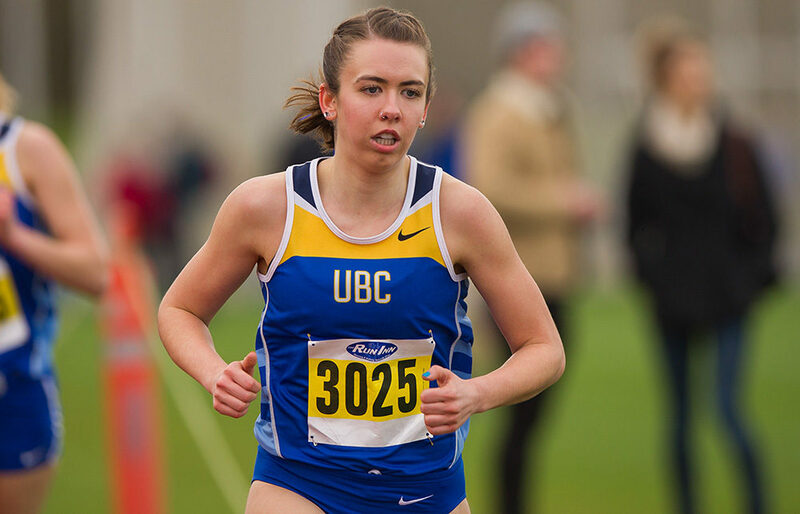 And along with all of that, there is no denying the inspiration she provides, all part-and-parcel of her unlikely journey to UBC where she has gone from virtual middle-distance neophyte to two-time national championship medal winner. And in so many ways that matter beyond the sport itself, that’s a shame. Sandra Kilmartin didn’t run a university race on a track until she was in her fourth year out of high school, a time when those on a more conventional calendar are entering their senior seasons. So in a sense, she’s at least three years behind, even more if you consider she never ran on a track in high school. Last season, in finishing eighth in the 1,500m at the NAIA nationals, she clocked a personal-best 4:34. This season, she’s lowered that time to 4:27, and she’s got a personal best of 2:12 in the 800m. And the rest of her life is also going pretty well. So what advice would she give to B.C.’s graduating Class of 2018 high school seniors? “A lot of kids I knew when I graduated were applying for scholarships, but I just wanted to take a year off, and in my era, that wasn’t too popular,” Kilmartin says. “People think they have to get life started so quickly,” she adds. “But I would say it’s OK to take a gap year. It’s OK to have student loans. It’s OK to take courses just to see what you like.